cost Contact Danielle for details of class availability and costs. Development and stimulation classes for moms with babies and toddlers. Mothers and Miracles weekly classes promote and enhance mother/child bonding. Learning through play. Intellectual stimulation. Sensory and tactile activities. Music and movement. Creative play. Fine and gross motor games. Baby massage. All while you meet and share the journey of parenting with other moms. Your baby is learning — about you, herself, and the world around her —from the moment she enters the world. 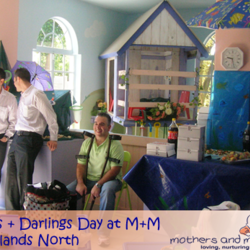 At Mothers and Miracles baby and toddler groups, we specialise in creating fun early learning experiences, for Moms with babies and toddlers (3 months – 3 years). Our weekly classes offer an intimate and nurturing environment where mothers and their young children engage in a range of carefully designed play-based activities that stimulate babies and toddlers to reach their developmental milestones. Small groups, led by carefully selected and trained workshop owners, who understand the development of babies and toddlers, are designed to optimise the uniqueness and unlimited potential of each child.